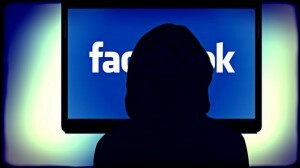 Facebook Inc is changing the way it treats people that do not use their given names on the social media network. The change in policy came about following complaints over the crackdown on the use of pseudonyms by users who are drag queens. The product chief of Facebook, Christopher Cox apologized in a Wednesday post to the people that had been affected by the recent crackdown. He said there were hundreds of drag queens who had been flagged for violating the real-name policy on Facebook, but would now be able to use the stage names they have on the site. Cox wrote that the spirit of the Facebook policy is to allow every user to use their authentic name that they used in everyday life. For people like Lil Miss Hot Mess that is Lil Miss Hot Mess and for Sister Roma that is Sister Roma. Those two names were in reference to the two most vocal critics of the social network’s policy. Sister Roma, on her Facebook page gave a positive reaction to the apology, while the apology was welcomed by Lil Miss Hot Mess, but she said she would be happy when her name is changed back. A protest was scheduled at City Hall in San Francisco for Thursday, but Sister Roma announced that it would now be a form of victory rally. Knowing the real identities of users has been the center of the business model for Facebook, which involved the building of profile that are detailed of people so it is able to send them advertisements that are targeted based upon their personalities. Facebook this week launched a new service for advertising that is said would capitalize on its huge cache of its real identities. The new service was called people based by Facebook and said it was superior to the other forms of ad services it had that had relied on data that was less personal.